Choosing which storage rack to use can sometimes be difficult. What's the capacity? How high will it go? How much can I store on it? Does it suit the goods I want to store? There are so many questions and concerns. Cisco-Eagle works to answer those questions with knowledge and to alleviate your concerns by offering you several rack types for many different purposes. From pallet to plasma cut sheet metal, we have a solution for your storage needs including bar & rolled goods. 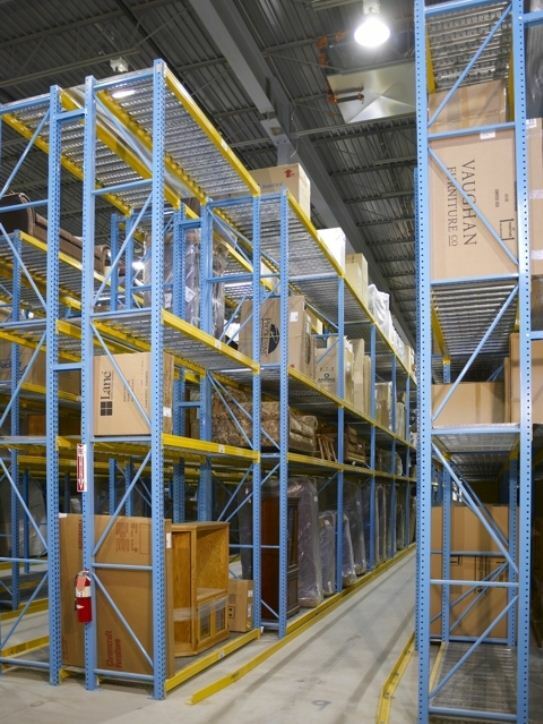 Pallet rack systems are the number one storage system used in warehousing, distribution centers and manufacturing facilities. There's a wide variety of types and configurations to choose from to fit your storage needs. Count on cantilever rack when you're storing bar stock, long rods, round stock and other goods too long or cumbersome for standard pallet rack. Keep old records available without taking up all the filing room you have. Archive them on record storage rack for easy accessibility and conveniently out of the way. Metal roll-out rack helps you keep control of difficult to store round, bar, tube and square stock as well as pipe, conduit and more. Select stacking rack when you have bulky materials to store. By stacking, you use more of the vertical space in your facility and save valuable floor space. We serve clients throughout Oklahoma. For western Oklahoma, see our Oklahoma City Office. You can always contact any of our offices for fast assistance.